We’re almost two decades into the 21st century and every aspect of our lives reflect that change. There are accelerating changes in every fields including education, and the skills and competencies we need to teach and learn in today’s educational system is drastically different from what was needed when our parents were in school/college. Talking about this with teachers and academicians in our contacts really made us think hard and it encouraged us to explore parallely for efficient methods and workflows to make education better. This blog specifically discusses about one such topic which may have the potential to raise quality and adaptability of education to our mobile-first world. Introducing project management in education. Project management, to put plainly, is the planning, managing, and organizing of a certain project which would achieve a certain goal or outcome. A project, as in the title, could be a single task, or a combination of tasks designed to achieve that goal/outcome. On a faculty level, where the teachers could use project management techniques and workflows to complete their administrative work and teach more efficiently. 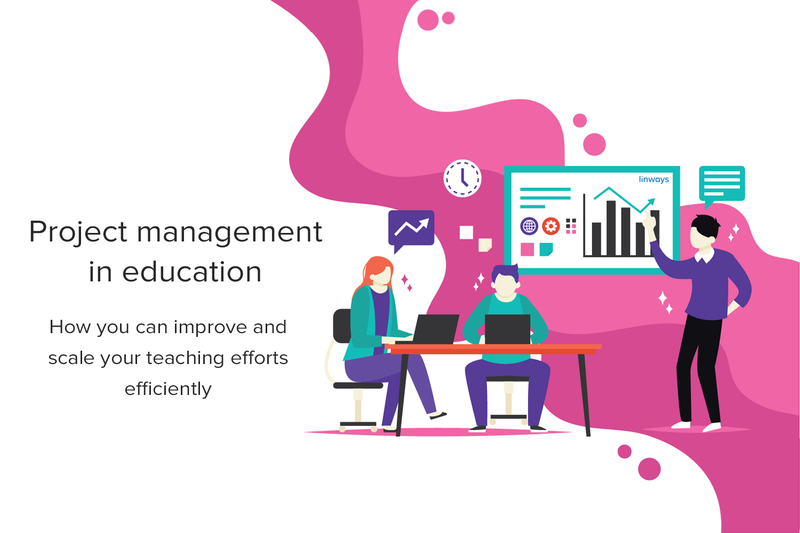 On the management level, where the institution brings project management workflows to help students & teachers easily comprehend and manage their curriculum, thereby having a better understanding and clearer end goals to make them more achievable. 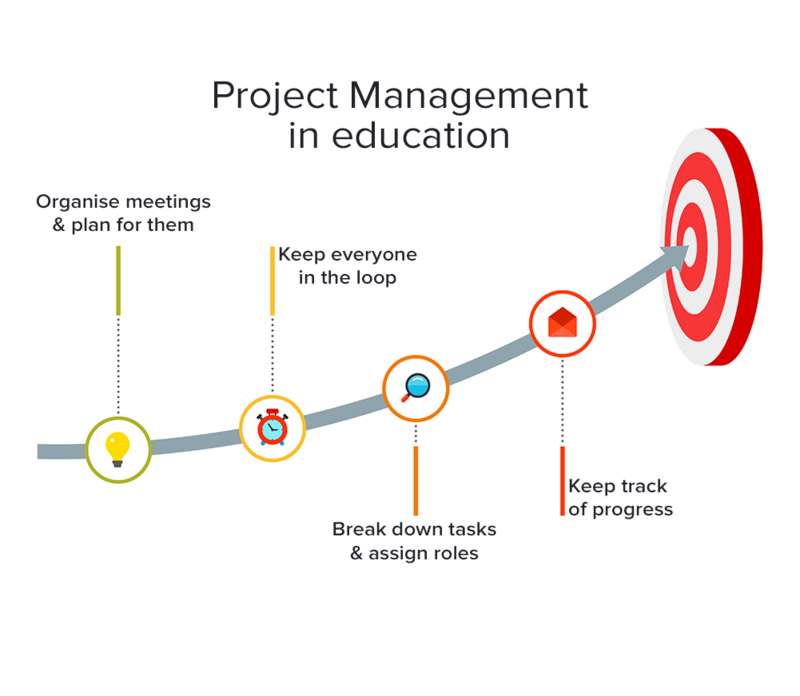 In this blog, we’ll be looking at how project management can be used to reduce the teachers’ workload and make their lives easier. We get it. Project management is usually an industrial term related to office work. But that doesn’t mean it can only be used in such cases. The reason why companies use project management, and that is efficiency. It means less workload and more free time for teachers to focus on core academics. This could benefit institution as the faculty is relieved of unnecessary tasks at hand, and thus could focus their time and energy for raising the quality and core academic related activities that would improve the reach and results of the institution. We’ll discuss the steps one by one. Before beginning, it is crucial to identify the needs and requirements of your institution/ batch. Simply calling for a meeting to collect feedback may not be enough. Plan ahead for the meeting, and decide the queries and suggestions you need feedback for. Peer review and management insights can be really helpful for implementing a fail proof project management workflow for your students. The success of your efforts depend on it. As long as you’re in the planning phase, try and collect feedback from every part of the stakeholder spectrum. Students may have something to say about their education, and it could help you build the workflow to be engaging. Project management is only worthwhile as long as it contributes to the overall outcomes and institutional goals. Students, parents, teachers, and the management can all chip in to build a workflow that covers all the loopholes and improve the results. You could also try consulting an industry expert who has hands on experience with project management for perfection. While building your awesome project management workflow for education, always keep your goals in mind. It’s better to break down larger goals down into smaller achievable ones to keep track of them easily. These smaller outcomes could contribute to the larger ones so that at the end of the term, you would have achieved them, without the stress of working for a big goal. It also important to efficiently manage your tasks on the go. Project management is a group effort and going solo could only undermine your productivity. So split the tasks within your team based on the strongholds and weaknesses of each members. No matter how hard you try, if you don’t keep track of goals, collect data, and improve on the way, your workflow will fail. You could make use of technology to share and collaborate with the team, and keep track of the attainment of outcomes. Tools from simple to-do lists to fully fledged academic management system can be used for this purpose. It is best to keep all your data and collaborative efforts collected in one place. When working towards a greater goal, it is common to drift off or lose focus. So check every now and then that your efforts are still focused and they still align with your goals. If not, do not hesitate to try alternate methods or out-of-the-box techniques to stay focused. We’ll be discussing about implementing project management in the managerial domain of an educational institution in our next blog, and along with it, a detailed work plan template which you can use to build a workflow of your own. Subscribe to keep updated on our latest teaching-learning resources and updates. 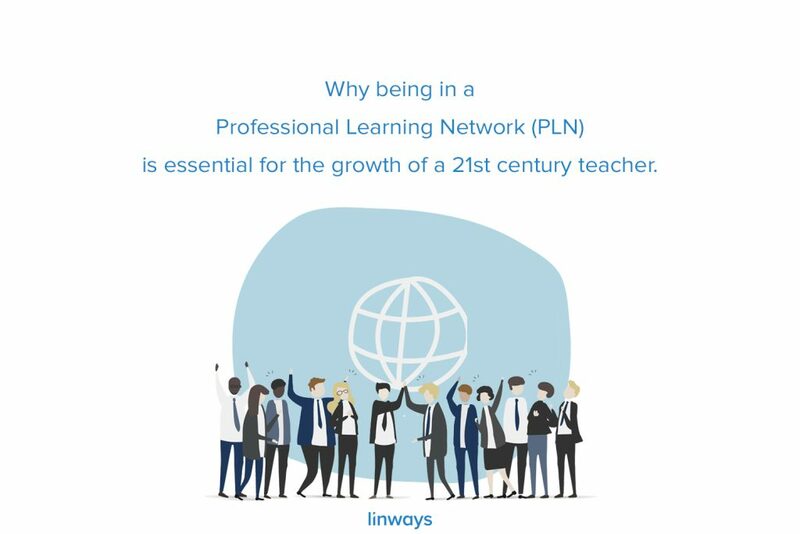 January 9, 2019 Why being in a Professional Learning Network (PLN) is essential for the growth of a 21st century teacher.